You are here: Home / Studio Business / My Music Staff Review – Is this music studio management software right for you? 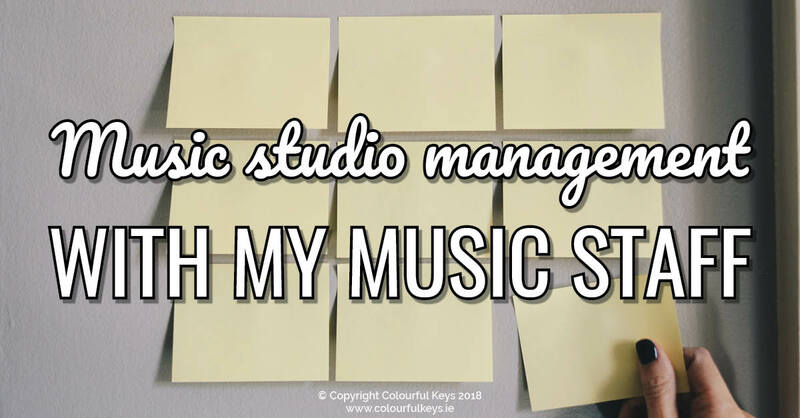 My Music Staff Review – Is this music studio management software right for you? Have you resolved to get organised this year? To sort out proper invoices, get your schedule under control or finally keep proper records about your student’s birthdays? 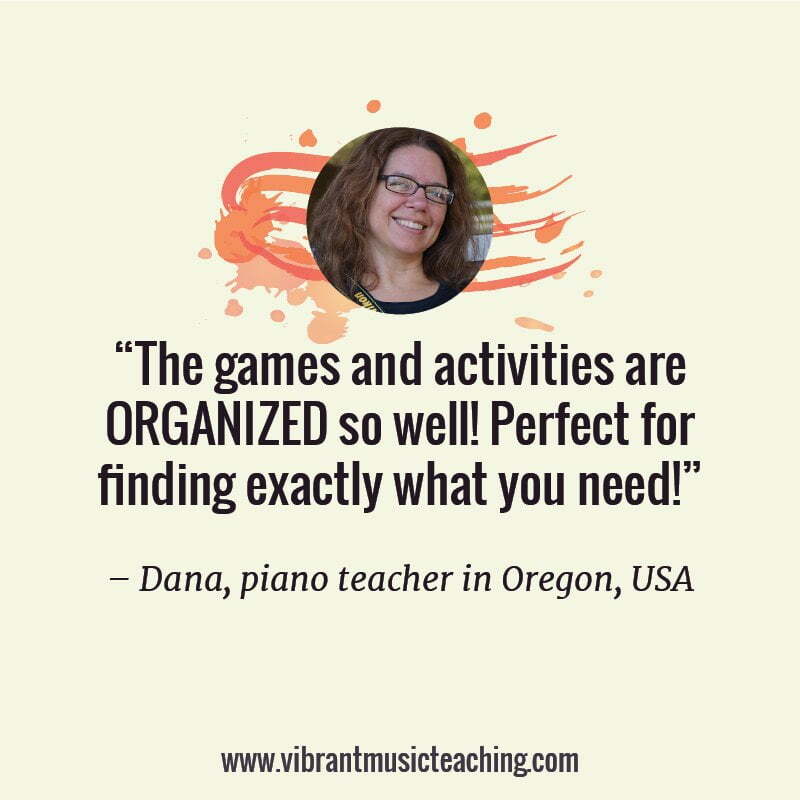 My Music Staff could be a great solution for you. 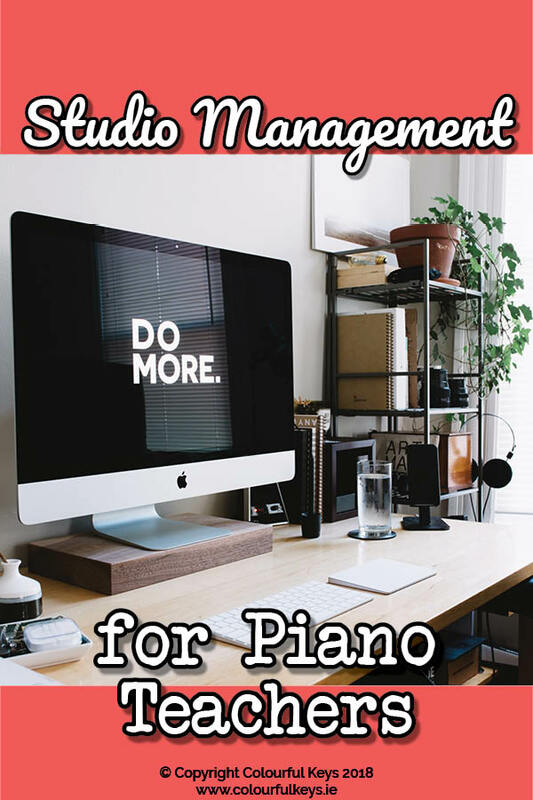 I’ve been using this studio management software for a few months and in this post I want to walk you through some of the features (from an outside perspective) so that you can gauge if it’s right for you. You can add, view and edit student information in the “Students” section. When you click through to a particular student you can see basic information about them and their family. I like the way the families are organised as I have a lot of siblings in my studio so this system makes sense to me. I also like that you this view shows how long they’ve been a student with you as well as the age. 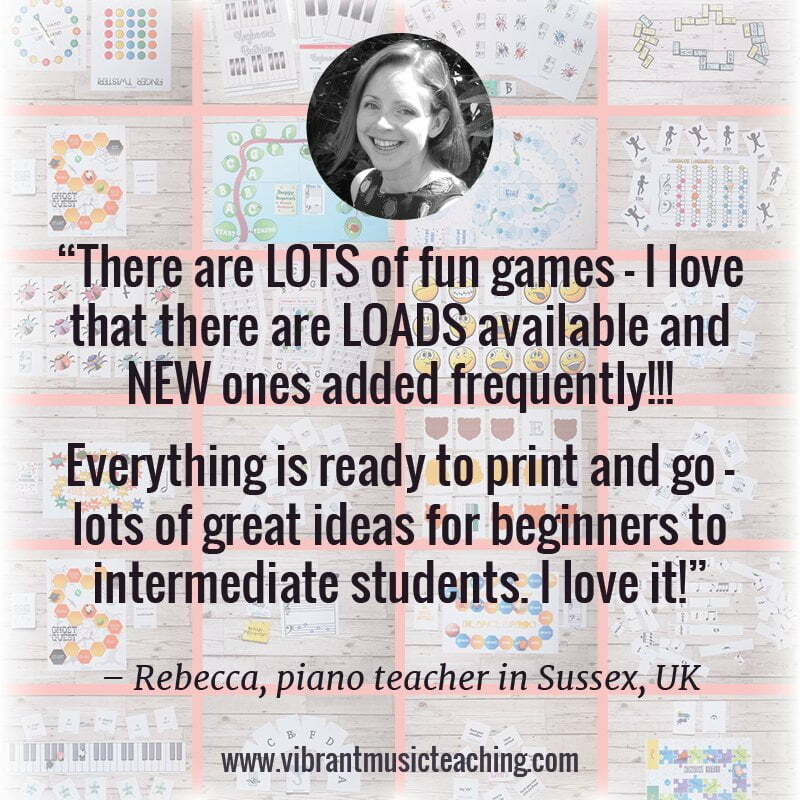 It’s a simple thing, but it makes a difference when I’m organising and planning my lessons. The calendar is where you can schedule lessons. 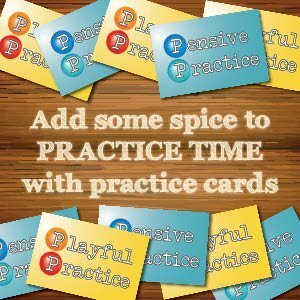 The lessons can be recurring or not and they can be group or individual. This system works pretty well, however, there are a couple of things I would love to see done differently. Firstly (and this is probably only just me), I would love an easier way to input my buddy lessons. At the moment I simply schedule each student for their time and let the lessons overlap in the middle. An automatic option I could set up would be easier, but I’m not too fussed about this. The other small issue I have is with the way the lessons show when they’re back-to-back. Counterintuitively, when you have a lesson at 15:15 – 16:00 and another from 16:00-16:45 they will show with a gap in between. But some lessons which do have a break between them show without the gap. This isn’t a problem as I use my Google Cal to check my schedule rather than this view. And I love that it automatically syncs with my Google Cal. This isn’t a problem or glitch, just a note. 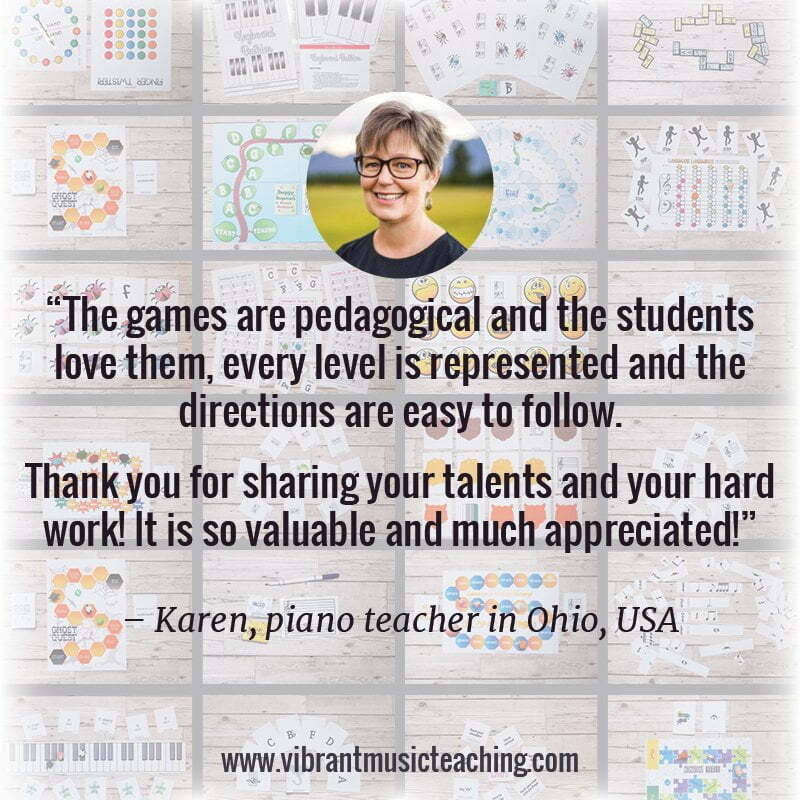 If you do decide to try out My Music Staff, schedule your teaching breaks first. That way when you schedule recurring lessons it will automatically skip over those days. Now to my favourite feature, the sign-up widget. I’ve called this the waiting list form as that’s what I use it for. I set the default student status on this form to “Waiting” and set up a thank you email to go out to them. This makes a huge difference for me because my studio is full. Very full. And no matter how much I warn people about the waiting times on my contact page, I still had to reply to them once they emailed to remind them that it’s likely to be quite a while before I get in touch, and that they should absolutely look for another teacher in the meantime. Having this process automated is wonderful because not only do I not have to write the reply emails, I don’t have to read the applications until I’m ready. Which means I don’t have to waste time feeling guilty about not having room for people, even though there’s nothing I can do about it. 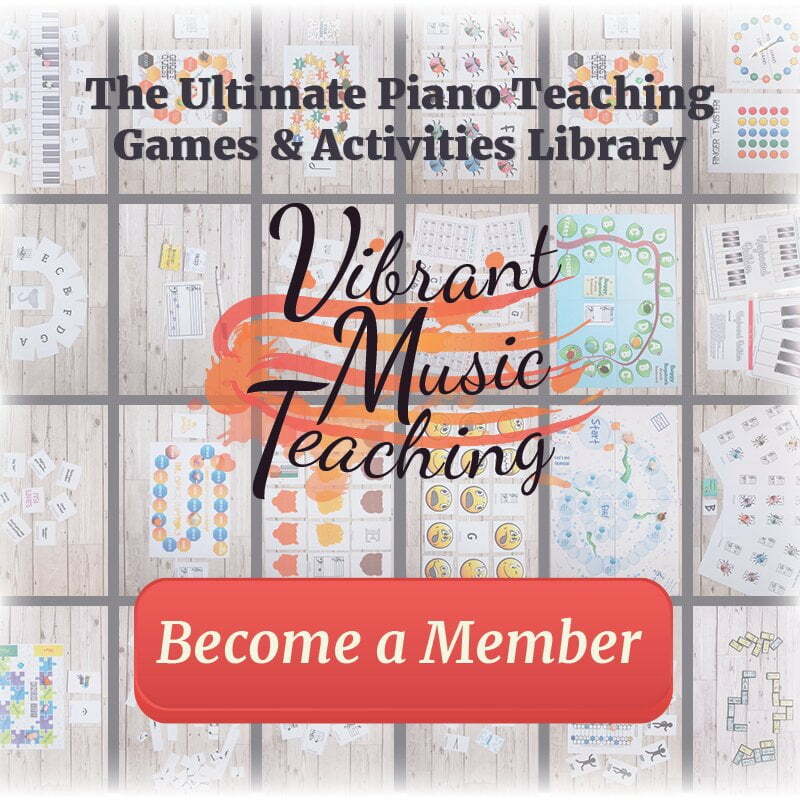 You can access the email feature in the “Students” view in My Music Staff. You can quickly select the students you want to email. Much easier than having lists in your regular email inbox because you can sort the view by age, student since, name, etc. to find the people you need. 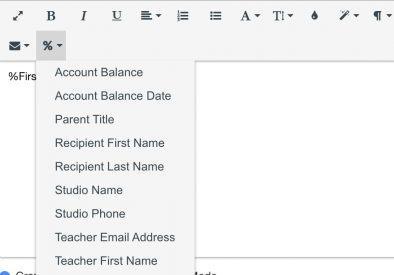 You can use a shortcode to add the name of the recipient or other key details. This means you can address the email to each person individually without copy-pasting and changing details. What I would love is some way to also have a shortcode for the student. However, I do understand that this is pretty much impossible because of pronouns! I’ve barely scratched the surface of what My Music Staff has to offer here. These are just the features that I find the most useful for my studio. Teachers & Admins – with a multi-teacher account you can have different staff or contractors each with their own schedule and students. I have played around with this and it works very well. Repertoire – If you’re using MMS to organise student practise and assignments this is where you would input it. I’m old-school in this way and I like things on real paper, but if you want to go digital this could be for you. Online Resources – You can store things for students to download. 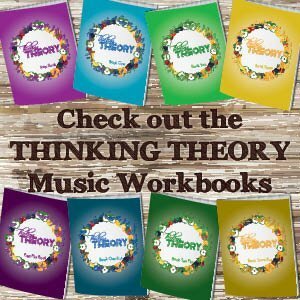 Great for backing tracks or perhaps digital sheet music. Invoices, Expenses & Mileage – Very important to keep track of! The only reason I’m not using this in MMS is that I have a lot more going on in my business besides teaching (like the Vibrant Music Teaching site). But this system would be great for simple invoice and expense tracking. Website – If you don’t have one already this is a super simple solution. No excuses, get that website up and running! Any questions about My Music Staff? I’d be happy to answer them and help you decide if it’s right for you. Leave your thoughts and queries in the comments below. If you use the MMS website that’s hosted by them. However, if you want to use your own website you can add the sign-up forms to that instead. Hey Mary! There are a couple of widgets codes My Music Staff will provide to you. You’ll simply copy and paste that onto your GoDaddy website. If you need a hand with it, the support team would be more than happy to help you out! When you go to set up your website, you can choose the option “I have my own site”. Then you enter your website information and you will have your MMS connected to your website. You can get a MMS widget and post it on your website too. Great question Mary! I was wondering something similar. I purchased a 3-year contract with HostPapa which will be coming due next summer. 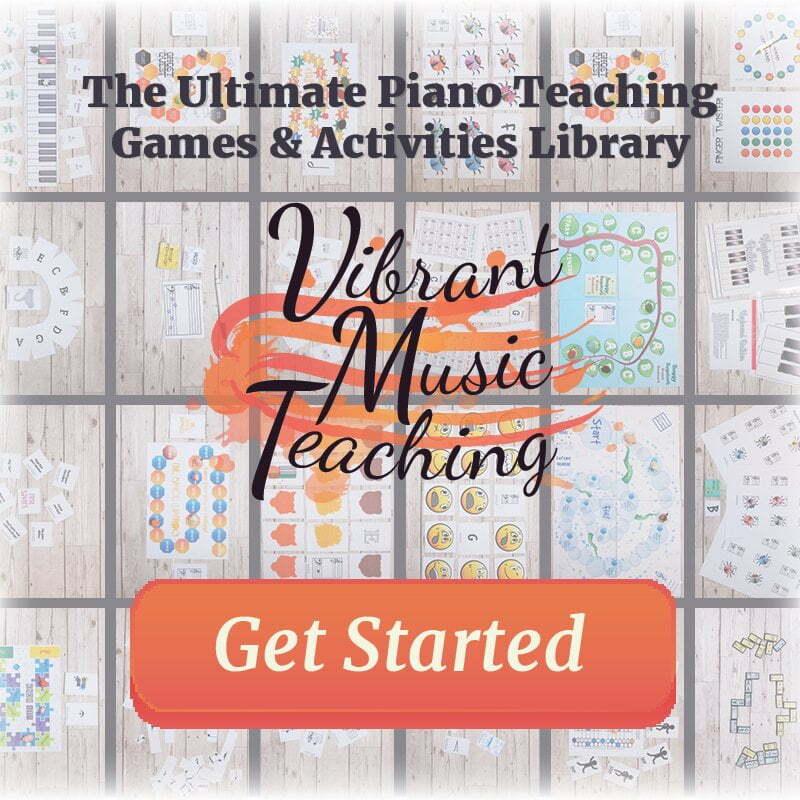 Do I have to redo my website to switch to My Music Staff? Thanks a bunch for this post, Nicola – very timely! You can just stick with your current website. The MMS website is just one feature of many that they offer. There’s no obligation to use it. No need to redo your website! My Music Staff provides you with a couple widgets that you can place on your existing website. One is a “Student Portal Login” widget and the other is the “New Student Sign-Up” widget. 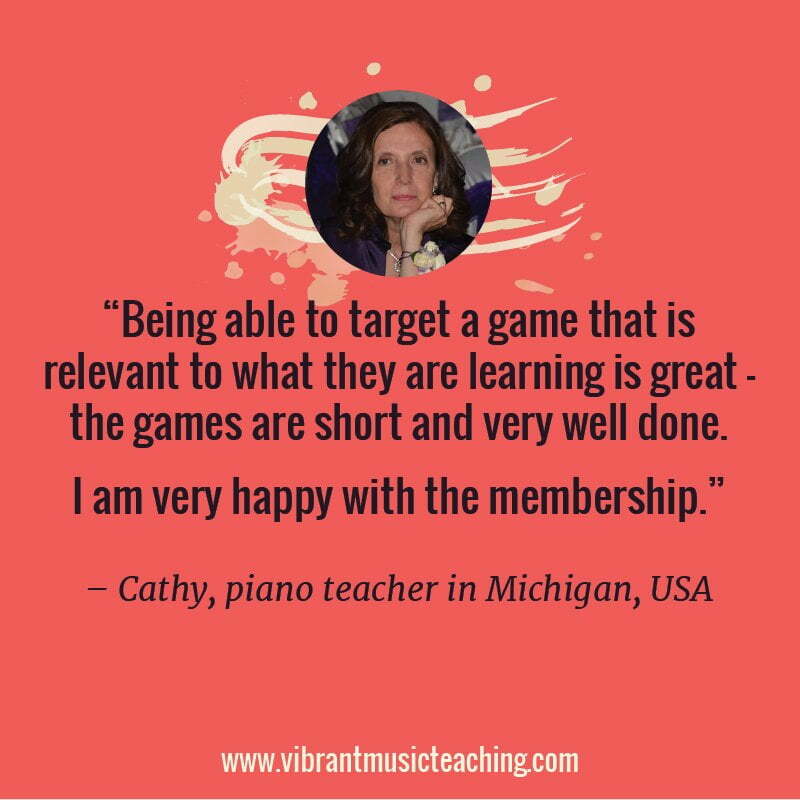 Students and parents will still visit your current studio website to gain access to their schedule, notes, etc. 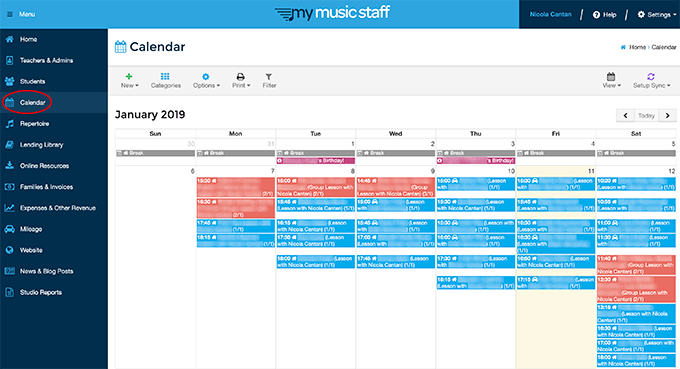 All of the information captured from the “New Student Sign-Up” widget that you place on your studio website is automatically entered into your My Music Staff account. I also use my domain name and forward it to my MMS website. So I have a professional URL and it redirects to the long .mymusicstaff name. Reach out to support@mymusicstaff.com and we’ll get you set up! If I were to offer the auto-pay or PayPal/Stripe service to families, how can I avoid the service fees those companies charge? I know PayPal charges for using a charge card but NOT ANYTHING for a direct bank-to-bank transaction. Is it possible to specify only b-2-b? If not, would I charge extra for that service? While I’m not familiar with Stripe, can you answer that same question for them? Is it possible to contact MyMusicStaff people with these questions before signing up? Also, I already have a website set up with GoDaddy….is it possible to just transfer all it’s content to the My Music Staff website I would create (my GoDaddy one expires in a year or so)? I’d like to keep my costs to a minimum by using the MMstaff website. Regarding the MMstaff website, can you post videos? Any limits to the number of videos? Is there a limit to how many pages we can have? Nicola, thank you for all your wonderful ideas. 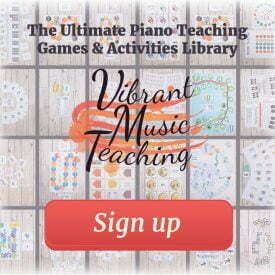 I have taught piano for nearly 30 years but am working hard to stay up with current technology. I deeply appreciate your willingness to share! Hey Peggy! Any payment processor will always charge about the same fees, 3%. MMS doesn’t charge anything for this service, but you will have to pay those processing fees no matter what you do. I think the question to ask is whether the convenience is worth it to you? In Ireland, internet banking is so easy that most parents are happy to just do that directly to my bank account. I would be careful if you want to pass on the charge to the customer. Laws vary, but in many places this isn’t allowed. Instead, you might just raise your fees across the board to cover this charge. Hey Peggy! Any payment processor (eg. Stripe, PayPal, Square, etc) that processes a payment on behalf of your business will incur a fee. The industry standard in the US and Canada is about 2.9% + $0.30. My Music Staff will not charge anything above and beyond the payment processor’s fee to use the online payments feature. If you’re located in the US, Stripe offers ACH payments (bank transfers) which are 0.8% per transaction. By offering more convenient payment options, it leaves a family with far fewer reasons not to pay. My Music Staff users that offer online payments are paid twice as fast as studios that only offer cash and check. With Stripe and PayPal Pro, your families don’t need to create special accounts either (one more hoop to jump through). They simply enter their card details to make a payment. The nominal processing fees for credit cards and online payments can be expensed. A processing fee may be something that you consider building into your lesson cost. This is exactly what retailers and most other businesses do. Alternatively, you could add a convenience fee (if allowed in your area) for offering this alternative method of payment online or factor it into an annual registration fee. 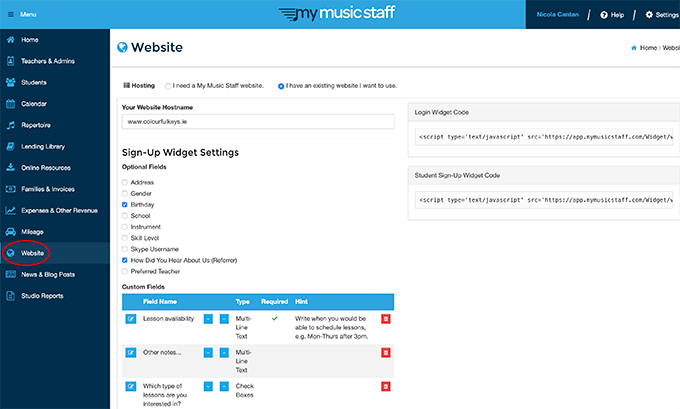 You can continue to use your existing website and just add the My Music Staff widgets to it. Alternatively, you can continue to pay for the domain and build a new website with My Music Staff and we’ll host it for you. If you weren’t going to keep your custom domain, you can use a free My Music Staff domain (eg. peggy.mymusicstaff.com). You can add videos to your My Music Staff hosted website. This is shared publicly on your studio website. If you are referring to videos that you’d only like to share with your students, you’ll use the “Online Resources” section. These videos can be shared with all of your students or specific students. They can access their videos from the Student Portal. I am considering, starting in fall, to implement a system where my families can reschedule say 2 times per year but only in a slot where another student will be missing. 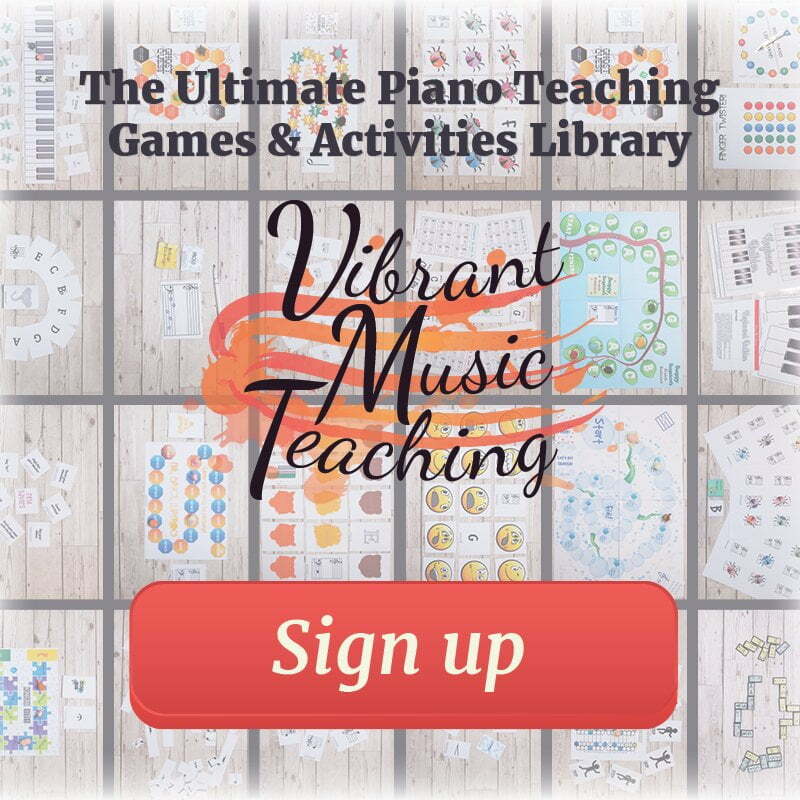 Is this something that parents could do automatically on mymusicstaff ? Yep. I don’t allow makeups so I’m not familiar with the ins and outs but they do have a makeup lesson credit system.